There is some quality Big Sky action this week as always, so let's take a look at best game in the week ahead. This won't be a sight for sore eyes, as both teams have struggled this year. Idaho State got their first Division I win on Saturday against North Dakota, while Utah is still looking for theirs. The Utes would be a mediocre Big Sky team, and they might not win a conference game all year. This is a game Idaho State can win if they can hit a few outside shots, but I don't see it happening. Damian Lillard is fresh off scoring 41 points against San Jose State, but the Wildcats will miss senior Kyle Bullinger, who will miss the first start of his career after injuring his elbow. Weber State doesn't have a natural fit to replace him, and there is some worry that they have become a little dependent on Lillard for scoring. Hopefully Scott Bamforth can get free for some good looks. I would pick Weber if Bullinger was healthy, but this is tough for the first game without him. 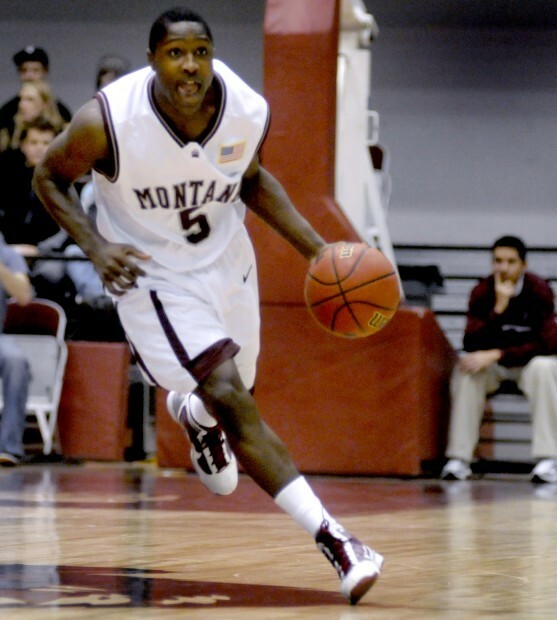 Montana badly needs a win, as they haven't look all that good at 4-4. They will know they have a nice opportunity for a quality win against a pretty good Nevada team. Montana has the talent, but they have not been consistent yet this year. It will be interesting to see how much Wayne Tinkle plays guys like Keron DeShields and Kevin Henderson (more talent and athletic but less experienced) compared to guys like Shawn Stockton and Jordan Wood (less talented but more experience). This will be a Big Sky game next season, but the Thunderbirds are not at the caliber of Weber State. They are 4-4 on the year, but their best win is against UC Davis. Damian Lillard should have another big day. Opponents are shooting 56% from 2-point range against Southern Utah, meaning Lillard should be able to get to the rim. Look for big man Kyle Tresnak to continue his ascent to being one of the better bigs in the Big Sky. Brad Huse's biggest concern with all of the newcomers was how they would mesh defensively, and so far his concerns have come to fruition. The Bobcats have not been very good defensively. 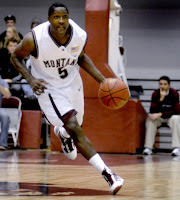 Fortunately, they've been pretty solid offensively, led by PG Rod Singleton, who has been a leader for them. Christian Moon has also been really solid, as he knows his role and plays it very well. His ORtg is excellent, thanks to a nice outside touch and an ability to take care of the basketball. Eastern Washington has been really good this year because they take care of the ball offensively, and force turnovers defensively. On the other hand, Cal State Fullerton has been one of the worst teams in the country at taking care of the basketball. Sometimes it's that simple. EWU needs to shoot the three ball, but if they can knock a few down they could get this road win. Sad to see Kyle start all 100 of his career college games and now is out. Never missed a game. And his first game to miss is BYU? When Lillard broke his foot last yr, the first game he missed was also BYU. BYU is a lucky team. Refs cheat, BYU wins 79-71. No kidding, you have to feel for him. Hopefully he is able to come back for conference play. Won't be at all surprised is the Bengals go into SLC and beat the Utes. Utah really is that bad. Leading Ute scorer Watkins has been suspended indefinitely. I would assume he won't be playing versus the Bengals. Even more reason to think ISU will win in SLC.